Are you unhappy with your dentures? Do you have missing teeth? 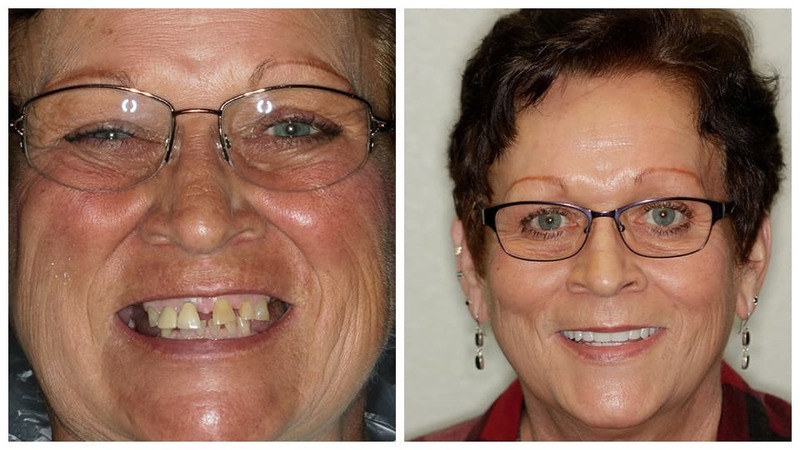 Custom dentures can give you your life back. Schedule a FREE consultation ($100 value) and chat with our team to see which denture option is right for you. Have a more lifelike and natural set of teeth. Unfortunately, there are times when our teeth fail on us and you may be feeling nervous or skeptical to wear dentures. Whether you will be a first-time denture wearer or are looking to replace an ill-fitting denture, Aesthetic Dental Center can fabricate custom dentures that’ll fit your aesthetic and functional needs – with the best fit possible. Implant-retained dentures: This is an excellent option if you are tired of slipping and sliding dentures. As a board-certified prosthodontist, Dr. Krysta Sellers can place dental implants to secure your denture for a comfortable, stable fit, making it easier to bite into food. Full dentures: An excellent option if all your teeth are missing on the upper or lower jaw. Dr. Sellers can create a customized denture to fit comfortably. Partial dentures: If you have only lost some of your teeth, this option will fill in those gaps and prevent other teeth from shifting. Which denture option is right for you? We invite you to schedule a complimentary denture consultation ($100 value), and we can discuss your smile goals and needs. We can provide dentures and implant-retained dentures in Bismarck and the surrounding areas, including Mandan, Lincoln, Dickinson, Williston, Minot, Watford City, Jamestown, Hazen, Beulah, and surrounding small towns. Laugh and smile again without a second thought. Imagine this: Taking a bite and chewing that juicy steak with ease and comfort. With implant-retained dentures, the implants are designed to mimic your natural tooth’s function, withstanding any force you put on your teeth to enjoy your favorite foods. No longer will you have to hide your teeth when you smile. Custom dentures are designed to look beautiful and complement your natural features beautifully. No longer will you mumble or slur your speech. Dentures are stable and secure to help you speak naturally. Nervous about the final results? Don’t be! Dr. Sellers will create a preview of your new smile, so you will know exactly what your new dentures will look like before they are designed. 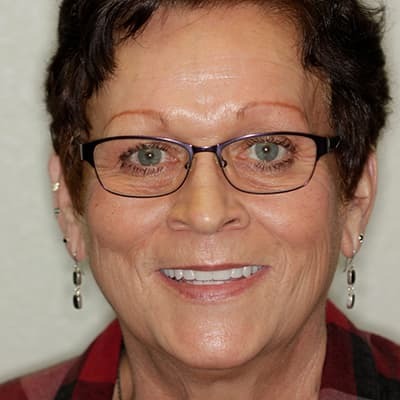 Why Choose Aesthetic Dental Center for Dentures in Bismarck, ND? Dr. Sellers has advanced training to become a specialist in the restoration and replacement of teeth. This allows her to excel in diagnosing, treatment planning, and rehabilitating oral function and appearance. Dr. Sellers only uses a specialty lab to craft and customize your dentures or dental implants. 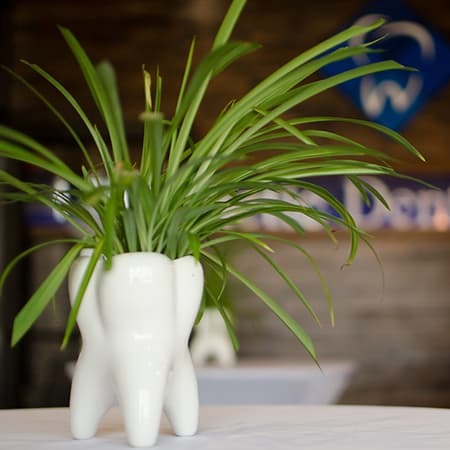 We use Wiand Lab who only designs dentures and dental implants, giving you the best product available. 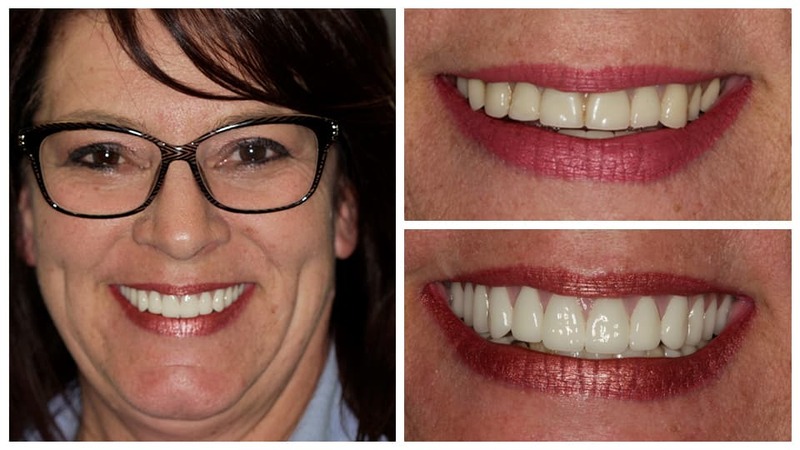 We've helped many people achieve their dream smile through dentures. Through open communication and transparency, we're confident we can achieve the dream smile you've always wanted. Can I get a good fit for my dentures? We use customized impressions to ensure the best fit possible.  We invite you to schedule a complimentary consultation with Dr. Sellers where she will go through the step-by-step denture process with you. Definitely! We give you the opportunity to choose the shade and teeth. If you are not happy with the look, Dr. Sellers will move the teeth around for you or we will select new teeth to try in before you receive the final product. You will know precisely what your dentures will look like in advance before creating the final product. Am I a candidate for dental implants to retain my dentures? 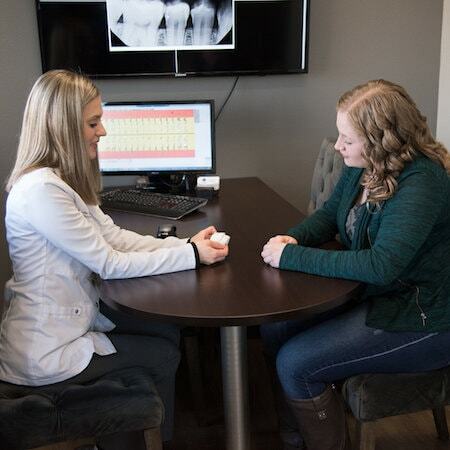 We offer CBCT 3D scanning technology to check the bone height, width, and quality for implants and can let you know if you are a candidate for implants. I moved to Bismarck from Dickinson but I still drove to Dickinson for my dental appointments, and that's where I met Dr. Sellers. After consulting with Dr. Sellers about the pros and cons of different types of dentures, I decided to go with snap in dentures. Before I was done healing from the surgeries, she informed me that she was going to open her own practice in her home town of Bismarck. I was thrilled (no more travel time)!! When she opened, we continued with the snap in denture measurements, fittings, and adjustments. To sum this up, everyone in Dr. Sellers practice are part of a GREAT STAFF!! The receptionist, dental assistants, and of course, Dr. Sellers!! Awesome experience!! I LOVE MY NEW SMILE!! Take the first step by scheduling a free consultation - no strings attached.